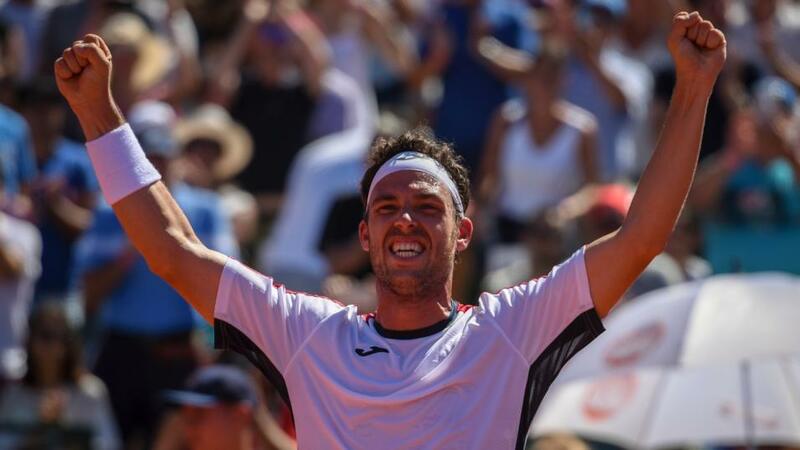 Second round action at the Miami Masters continues on Thursday, and Dan Weston thinks theres a bet to be had in the Cecchinato v Dzhumhur match. "The Italian, career-wise, has had an utterly dire hard court record but he is showing signs of improvement, going 6-6 on the surface in the last six months. While his combined service/return point won percentage (95.5%) in this sample shows that win-loss record is a little flattering, it considerably eclipses that of his opponent tonight." Felix Auger-Aliassime picked up a decent underdog victory for us on Wednesday night with the Canadian powering through a final set against Marton Fucsovics to make round three. This puts us 2-1 for the tournament so far - with both winners underdogs - to help us build on a successful Indian Wells campaign last time out as well. Tonight's matches see the conclusion of the second round, with further big names getting their tournaments off and underway. Roger Federer is a heavy [1.13] favourite to ease past Radu Albot, while our outright selection, Alexander Zverev, is [1.27] to get past David Ferrer. Both of those prices don't look absurdly out of line, and in fact, there wasn't too much that my model highlighted as being particular value this evening. Diego Schwartzman looks reasonable at [1.78] against the big-serving Reilly Opelka, in what is rather a match-up with contrasting styles. The diminutive Argentine stands around 16 inches shorter than his American rival, but their meeting is only a 'David v Goliath' clash from that size perspective - certainly not an ability one. Despite preferring clay courts, Schwartzman's record on hard court isn't bad at all, and in these slower than average hard court conditions, things look nicely tipped in his favour against an opponent who is unlikely to consistently pressure his weak serve. However, the player that I do like for today's pick is one that I never thought I'd recommend for a hard court tournament. On Thursday I picked out Bernard Tomic and Benoit Paire as potential value - two further players that I very rarely find much value in - and today, I'll go for the hat-trick of unlikely players by selecting Marco Cecchinato. The Italian, career-wise, has had an utterly dire hard court record but he is showing signs of improvement, going 6-6 on the surface in the last six months. While his combined service/return point won percentage (95.5%) in this sample shows that win-loss record is a little flattering, it considerably eclipses that of his opponent tonight. Dzumhur's data across the last 6-12 months on all surfaces is truly dreadful, and the Bosnian scraped into this stage against the limited young American, Chris Eubanks, on Thursday, winning a final set tie-break, and only winning 48% of points in the match. The slower conditions in Florida should suit the Italian, Cecchinato, and I think he's some value at [1.72] for this clash, which features two of the worse statistical players in the draw. In other matches, there are a couple of high-profile players in action who haven't produced much in recent months. Grigor Dimitrov makes his first appearance since the Australian Open, and is [1.62] against Feliciano Lopez. If he's remotely fit, this price is a gift, but unfortunately, that's far from a given. Kevin Anderson has had recent fitness issues too, and this is reflected in the [1.60] about him beating the improving Jaume Munar, while Marin Cilic is [1.53] to get past the talented young Russian, Andrey Rublev. I also wouldn't be surprised if Karen Khachanov struggled to cover handicap lines against Jordan Thompson - he looks short at [1.24] - while Stan Wawrinka isn't a given to make round three, with his price of [1.67] against Filip Krajinovic accurately reflecting that.